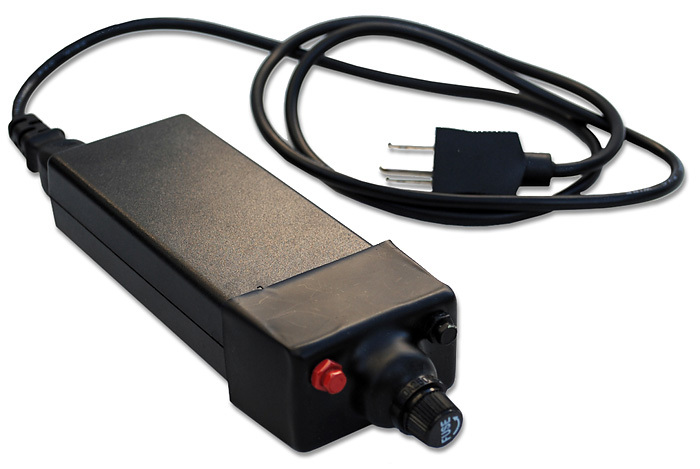 This 7 amp power supply eliminates the need for batteries to power your Desert Fox, Mountain Goat Trommel, or Pro Camel when working at home. Simply plug the unit into a 120 volt household outlet, connect the power clips from your equipment to the connectors and you're ready to go. This power supply can only be purchased at the same time you purchase the Desert Fox, Mountain Goat Trommel, or Pro Camel spiral wheel.